Antoni Llobet was born in Sabadell (Barcelona) in 1960. He obtained his PhD at the Universitat Autònoma de Barcelona (UAB) with Prof. Francesc Teixidor in July 1985, and then moved to the University of North Carolina at Chapel Hill for a postdoctoral stay with Prof. Thomas J. Meyer, until the end of 1987. After a short period again at UAB and at University of Sussex-Dow Corning (UK) he then became Scientific Officer for the Commission of the European Communities, based in Brussels, Belgium (1990-1991). Then he was appointed Senior Research Associate at Texas A&M University in College Station (USA) from 1992 till 1993, working with the groups of Prof. Arthur E. Martell and Donald T. Sawyer. From 1993 till 2004 he joined the faculty of the Universitat de Girona where he was promoted to Full Professor in 2000. At the end of 2004 he joined the faculty of UAB also as Full Professor. In September 2006, he was appointed as Group Leader at the Institute of Chemical Research of Catalonia (ICIQ) in Tarragona. His research interests include the development of tailored transition metal complexes as catalysts for selective organic and inorganic transformations including the oxidation of water to molecular dioxygen, supramolecular catalysis, the activation of C-H and C-F bonds, and the preparation low molecular weight complexes as structural and/or functional models of the active sites of oxidative metalloproteins. In 2000 he received the Distinction Award from Generalitat de Catalunya for Young Scientists. 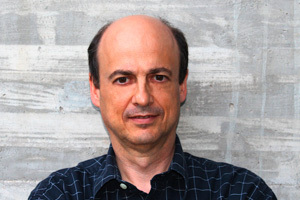 In 2011 he got the Bruker Prize in Inorganic Chemistry from the Spanish Royal Society of Chemistry (RSEQ) and in 2012 the “Hermanos Elhuyar-Hans Goldschmidt” lecture jointly by RSEQ and the German Chemical Society (GDCh). In 2018 he has been awarded with the “Animesh Chakravorty” Endowment Lecture by the Chemical Research Society of India (CRSI) and the “Alexander von Humboldt Research Award” for a career achievement by the Humboldt Foundation from Germany. At present he is a member of the Editorial Advisory Board of “Catalysis Science and Technology” from the Royal Society of Chemistry, “Inorganic Chemistry” from the American Chemical Society and “European Journal of Inorganic Chemistry” from Wiley-VCH.